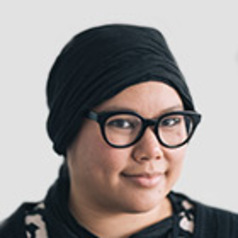 Eugenia Flynn is the Operations Coordinator at the Wilin Centre for Indigenous Arts and Cultural Development, Faculty of the VCA & MCM, University of Melbourne. From 2010 to 2012 she worked with Muslim women artists and her textual work 'The Grounding' was displayed in the 'No Added Sugar' exhibition at Casula Powerhouse Arts Centre, alongside the work of these talented women. In 2012 she was the Director of the RISE Refugee Festival and in 2013 she was co-Curator of 'Immersion', an exhibition of work by Wayne Quilliam at Blak Dot Gallery. In her spare time, Eugenia works with a number of different artists, arts organisations and communities to achieve better outcomes for society through arts and culture initiatives. She is also a Writer who has been published in the Guardian Australia, Crikey and Overland Magazine.